Previous Model- Embrace your enterprising spirit and get the most out of a multi-needle machine with Baby Lock. 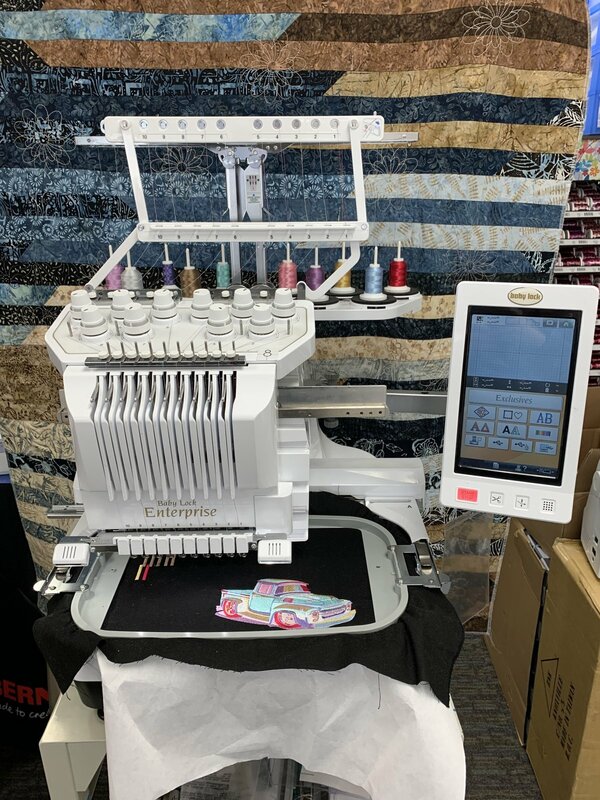 With 10 needles and a speed of 1,000 stitches per minute, this machine is ideal for anyone looking for industrial power in a home embroidery machine. Baby Lock IQ Technology™ powers smart, user-friendly features, such as the NeedleCam™ Digital Camera, by working with the "brain" of the Enterprise to achieve the results you desire. The Enterprise is perfect for your most detailed embroidery designs and can help any embroidery business grow.